As soon as she hit the water, Magic Carpet 3 took a flying start. Her designer delivered a real winner thanks to her very special lines. Whether in light airs or in a sustained breeze, she has outclassed her competitors. Reichel/Pugh had exhaustively developed the narrow yacht with Wild Oats XI, which, throughout her career thus far, has received all possible appendages, including a canard in her original CBTF configuration. By raising the "progressive" hard chine, the designers of Magic Carpet 3 have significantly reduced the waterline beam when the yacht is level, thus keeping the wetted surface to a minimum. 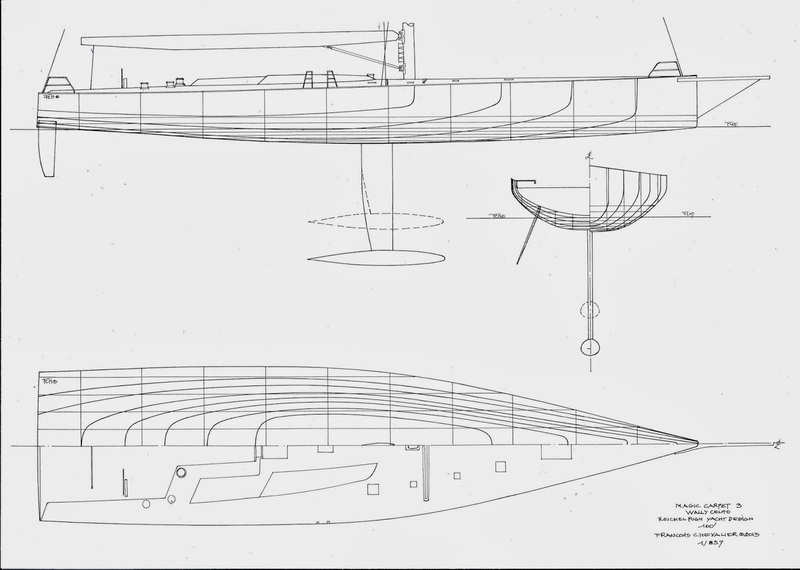 As the Wally class rule forbids canting keels, Reichel/Pugh opted for a relatively large displacement, with a large quantity of the overall weight placed in the finkeel ballast. 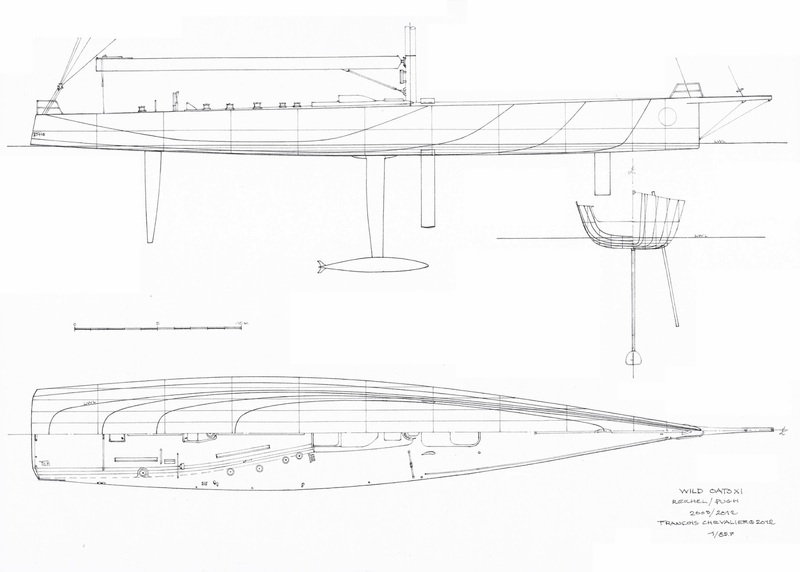 When the yacht is heeling, the hull sails on a flat surface as well as the hard chine (which provides lateral resistance) and starts to plane at the slightest of breezes. 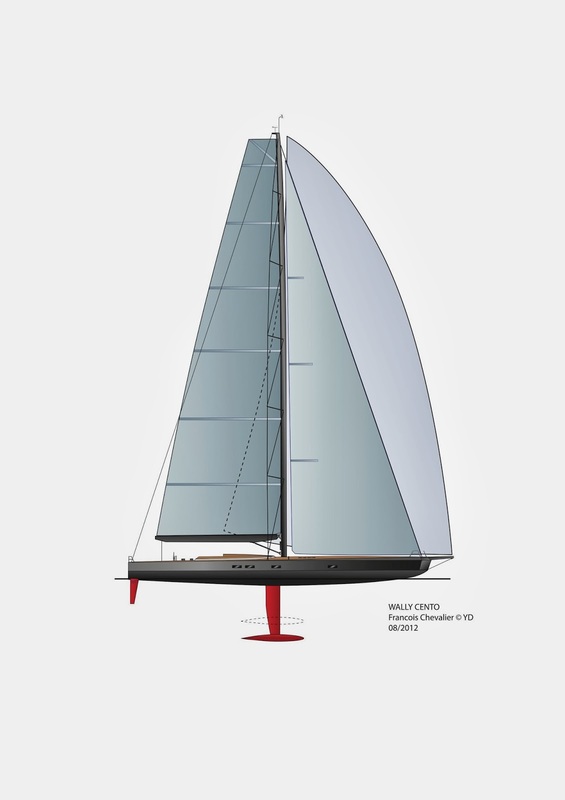 The same hull shapes can also be found on the latest generation of the Open 40 class yachts, which have proved to be more complex to optimize than their predecessors. Wild Oats XI is a much narrower yacht than Magic Carpet 3 with a waterline beam of just 4.10m. 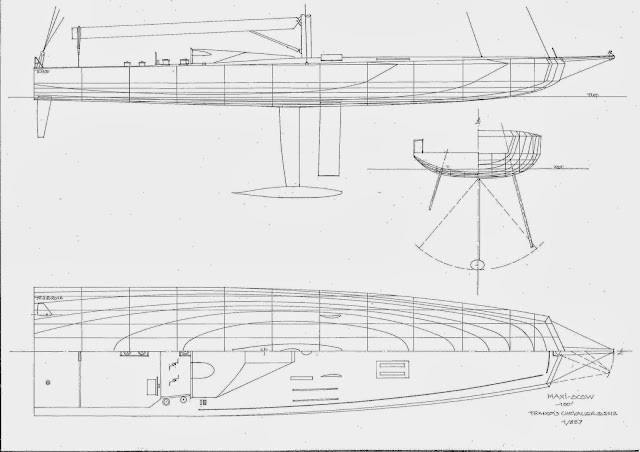 Her lines features a slightly rounded bilge, flaring topsides, and a moulded depth positioned forward of the keel fin. When heeling, the waterline is as long as the full length of the yacht, the wetted surface is reduced, but the flaring topsides do not provide lateral resistance like more recent yachts with chine-bilged hulls like Magic Carpet 3 or Rambler 100 (Juan Kouyoumdjian design, formerly Speedboat). 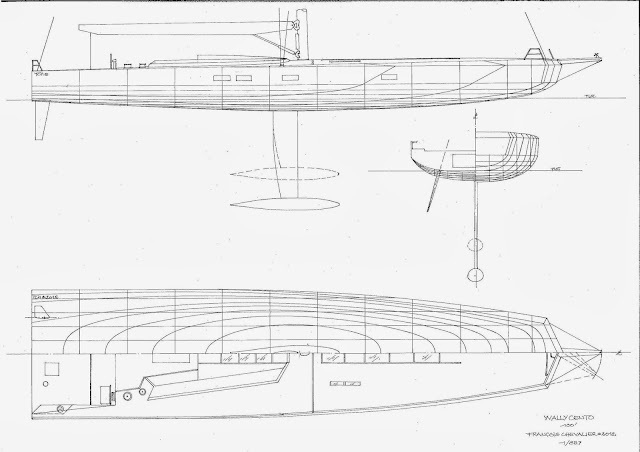 The shape of Rambler 100 (formerly Speedboat, now Loyal 100) for is similar to that of a motor boat. 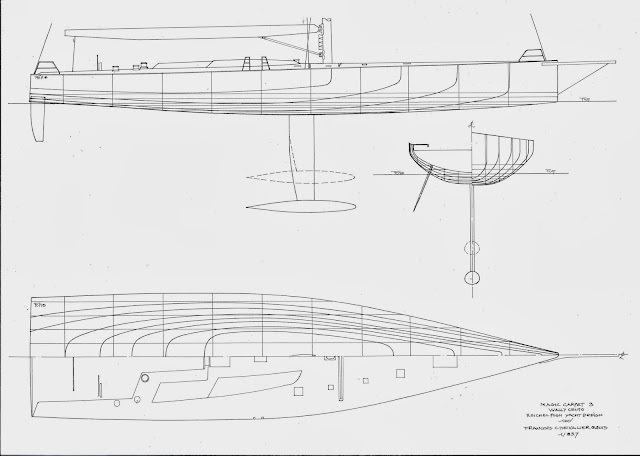 Her hull lines are very sleek and it is difficult to read the shape of her aftersections. Because of this, her horizontal sections (which are parallel to the waterline) all stop abruptly at the transom. 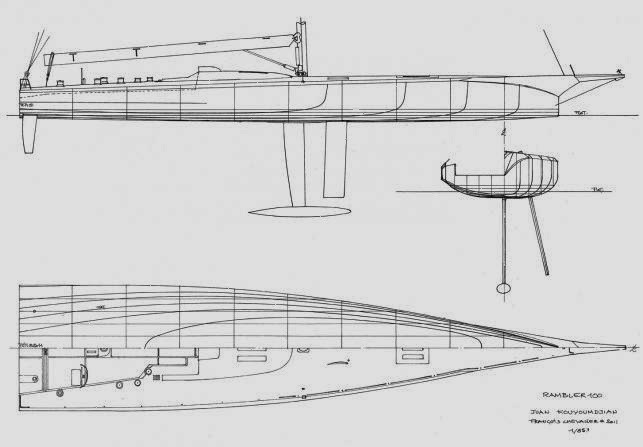 Generally, the beamier the vessel, the larger the developed surface of the hull and deck, incuring extra weight to the yacht. 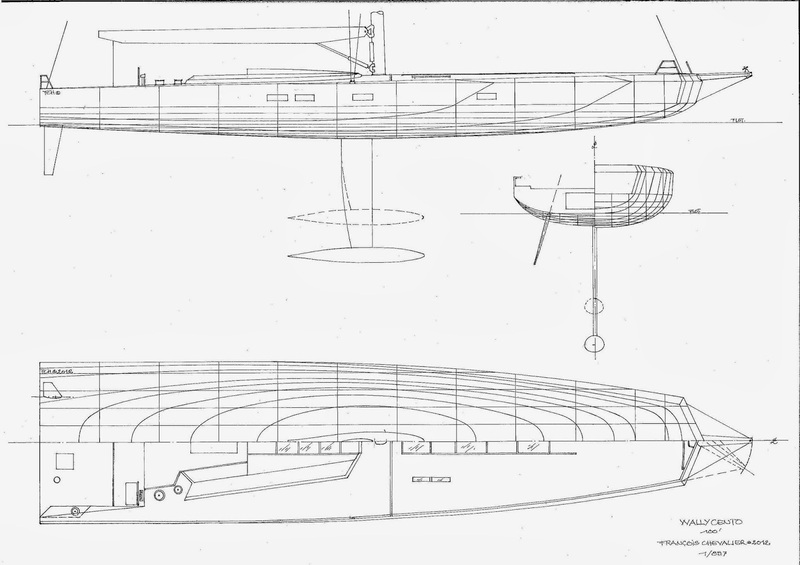 But the closer the overhead shape of the deck is to a triangle, the lesser this developed surface actually affects the hull weight and Rambler 100 is very close to a triangle. 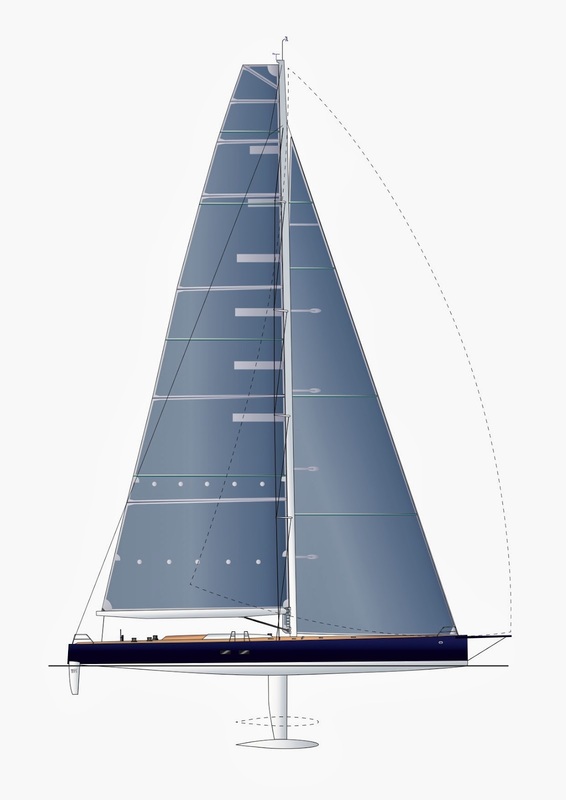 Half the yacht's weight is located in the canting keel, which is swung to windward. When the wind strengthens, 8 cubic meters of water are pumped to the windward liquid ballast tank, which provides Rambler 100 with a huge righting moment. 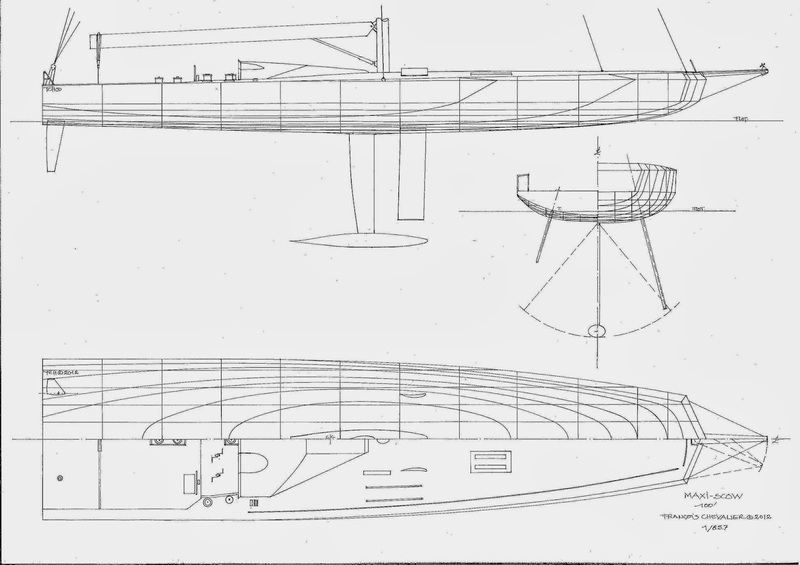 My 100ft Maxi Scow proposal features hull lines which are close to those of a surf board. This increases the drag in the light airs compared with a narrow yacht like Wild Oats XI, but gives her greater ability to plane in the puffs. 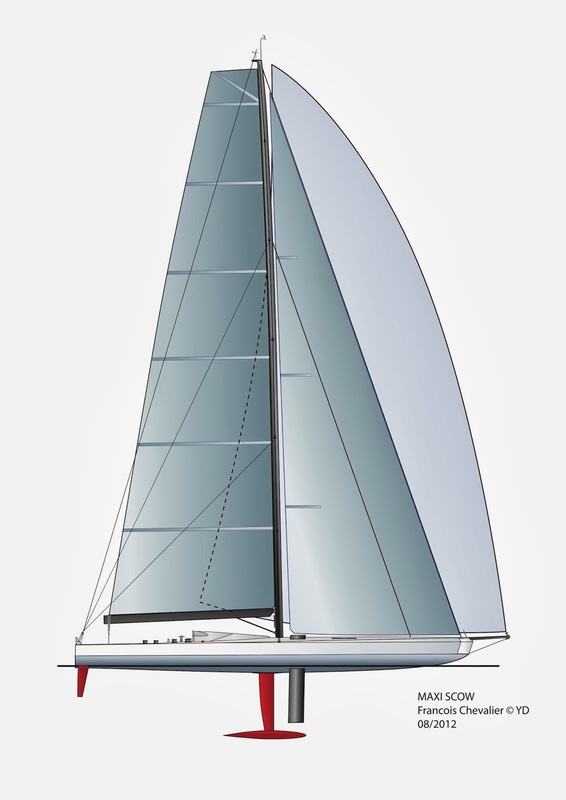 When heeling, the wetted surface is reduced and the angle between the heading and the centerline of the yacht is smaller than on any other maxi-yacht. Furthermore, her shape stability is also greater. A stand off between these five Maxi yachts in a New-York Bermuda, a Fastnet or Sydney-Hobart would be an educative and unforgettable spectacle.